The Holiday Flower Show at Garfield Park Conservatory is free annual tradition for all ages that ushers in the holiday season with dazzling displays of flora and fauna and is the perfect setting for holiday photos. Come see the “Tickled Pink” Holiday Flower Show. 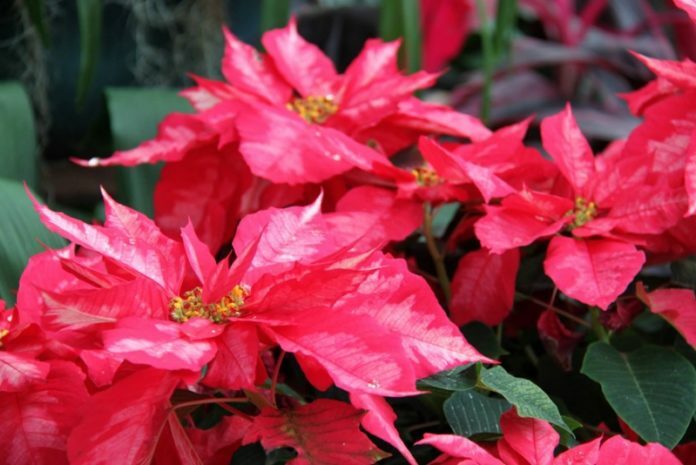 In addition to the traditional holiday evergreens, this year’s show features non-traditional varieties of poinsettias in pink and blush. Pink lights and other pink plants cast a rosy glow for all holiday visitors.